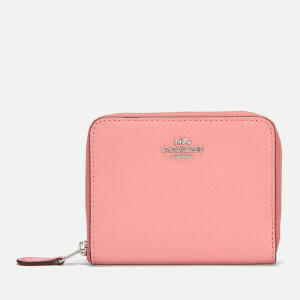 Compact leather wallet from Coach, a luxury design house based in New York. 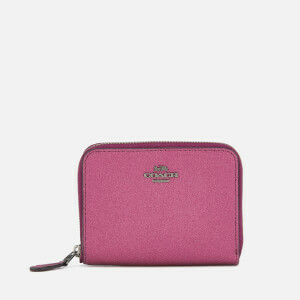 The small zip around wallet is crafted from grainy metallic red leather. 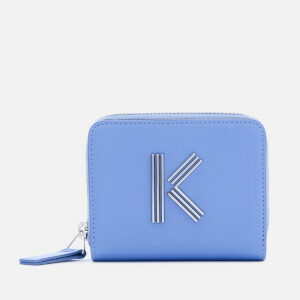 The interior is designed with two card slots, a side slot pocket, a note compartment and a zip coin pocket. 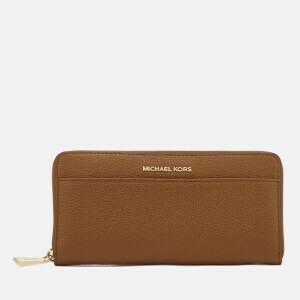 Finished with gold-tone hardware and a signature metal logo on the front.